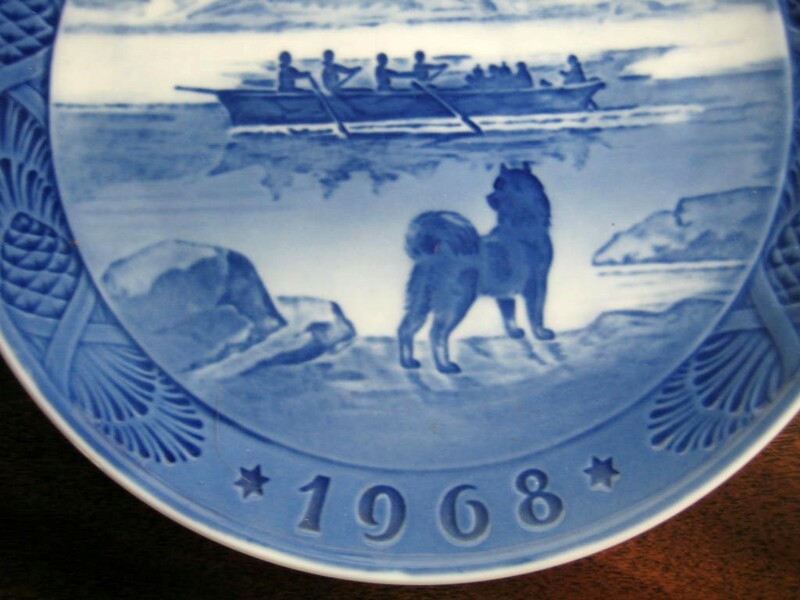 Click the button below to add the 1968 Cobalt Blue Husky Dog Rowing Boat Star Pinecone Plate to your wish list. 7 ". Magical design in rich blue on white. 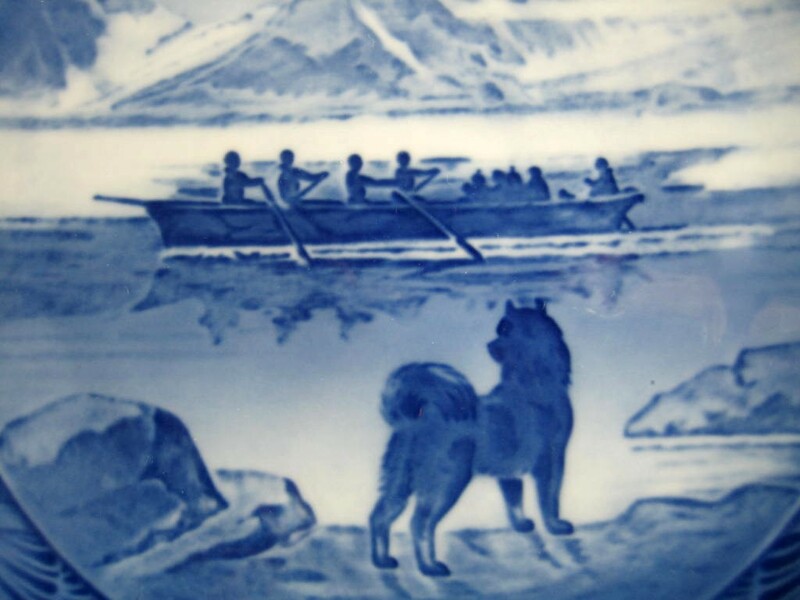 Fine Danish porcelain. Vintage 1969.